Montserrat Barriga was appointed ERA Director General on 1 November 2017. Barriga is responsible to ERA’s board for the delivery and implementation of ERA’s strategy as well as the policy and technical work of the association. Under her leadership, ERA is highlighting the aviation sector’s vital contribution to Europe’s future economic prosperity, particularly in the regions of Europe. Barriga travels extensively within Europe, meeting with policy-making bodies such as EASA, the European Commission, Eurocontrol and the European Parliament and Council as well as ERA members. 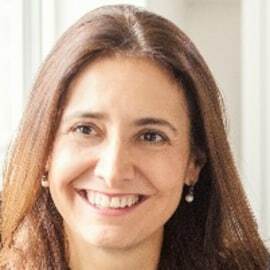 Prior to her appointment as ERA Director General, Barriga worked at ERA member airline Binter as Director of International Development and Industry Affairs, focusing on the airline’s regulatory needs and international development. Before this, Barriga headed up strategy development at Pullmantur Group, which included a cruise line, tour operators, retail travel agencies and the charter airline Pullmantur Air.